I’m surprised the tech masses are not marching in the streets – from Apple and Samsung we would not accept 25% price hikes for the second version and 13% for the third – this latest Kogan Agora is $229 – up from last year’s $199 – but seriously, who are we kidding – that’s a steal. 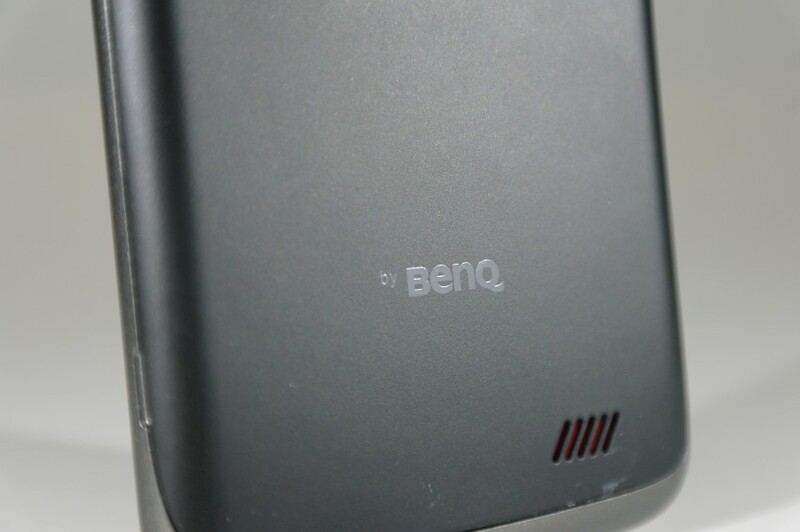 Firstly, you get a phone built-in partnership with BenQ – that in itself is very interesting. 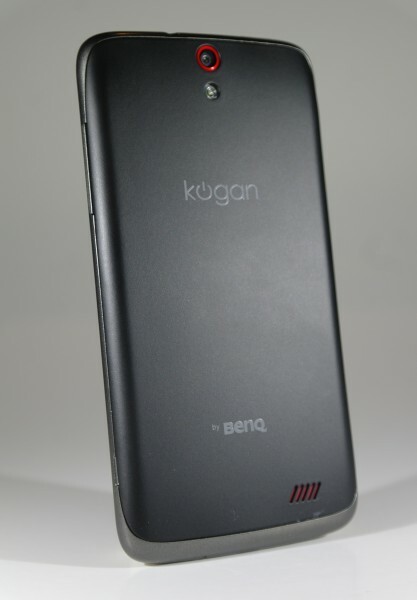 Kogan is renowned for his ability to scour the Chinese factories for a great deal, could it be that to get not only a good deal but good quality – he had to team up with BenQ? Whatever the reason, it’s a good move. 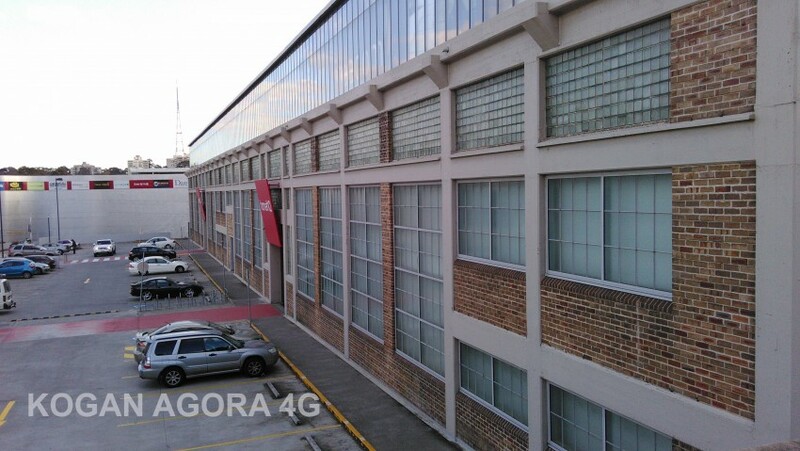 The Kogan Agora 4G is excellent quality. 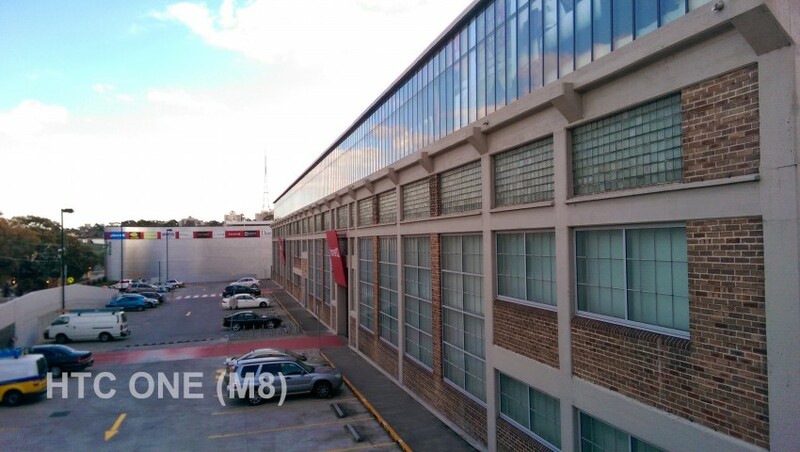 The design and even construction reminds me of the Nexus 5, the curved lines and general look just seem familiar. There’s a hint of red in the front speaker, rear speaker and around the camera lens which add a touch of class which otherwise would have rendered the phone quite bland. Up front it’s a sizeable 5 inch screen which puts it right alongside the Samsung Galaxy S5 and HTC ONE (M8), and it packs that screen in without compromising overall size – it’s right on par with both. Under the hood you’ve got a 1.2GHz quad-core processor, 8GB onboard memory, 4G speeds for all the networks, and it comes with Android 4.4. 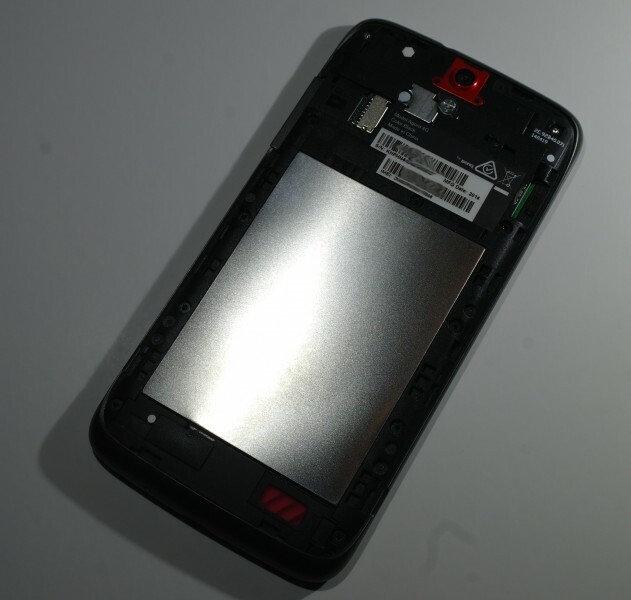 Around the back the back cover is removable, allowing access to the SIM and MicroSD slots but it seems the battery is off-limits – a large metal place stands in your way. 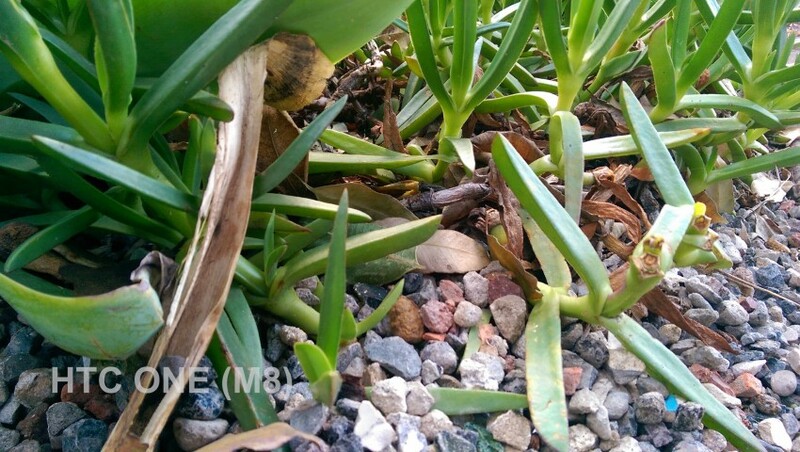 Switch it on and if you’re side by side with a Galaxy or HTC One – yes, you’ll see a noticeable difference in brightness and resolution. 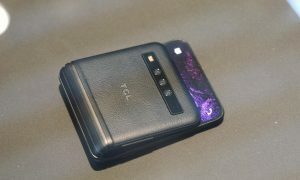 However, with a saving of many hundreds of dollars – and the fact that most people don’t carry around a comparison phone – the average user won’t be disappointed. I watched a HD YouTube clip side by side with the Kogan Agora 4G and HTC One (M8) and frankly – couldn’t notice the difference at arm’s length – normal viewing on a train you’d barely notice it. Of course with the HTC ONE I had front facing speakers, but that’s a moot point if you’ve got headphones connected. 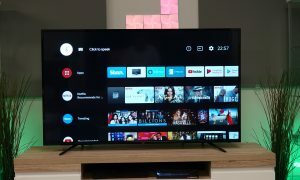 There’s something dull or washed out about the screen, and I think that comes down to the resolution, but like with TV’s – you don’t buy the 20 in a retail store on the walls and notice the difference one to another, you buy one, and have no reference point in day-to-day use. I expected a sluggish performance from apps – surely for just over $200 you can’t get lightning speed. 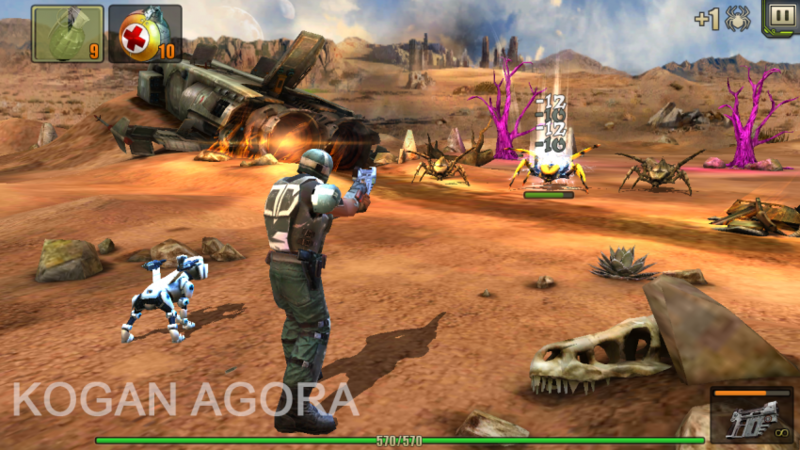 So I downloaded an “action” style game – the first I could see – from the Google Play Store. 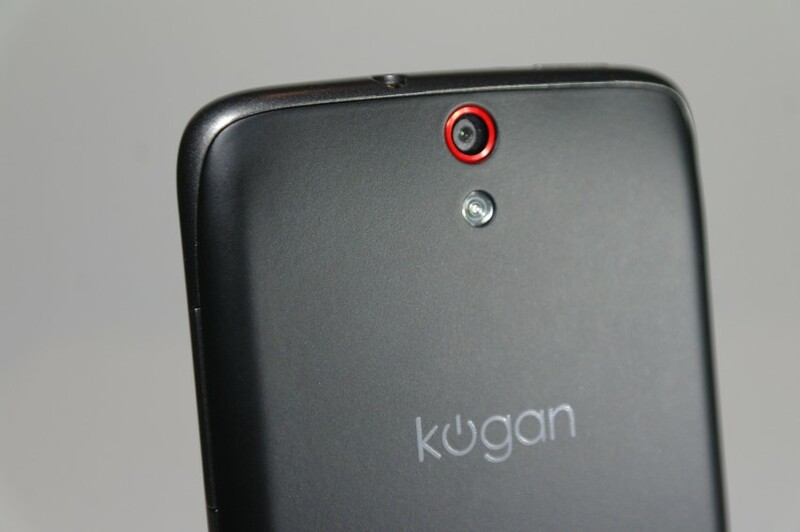 I ran it on both the HTC One and Kogan Agora 4G. Screenshots show the resolution difference, but when you’re holding the phone – I really don’t see a noticeable difference. 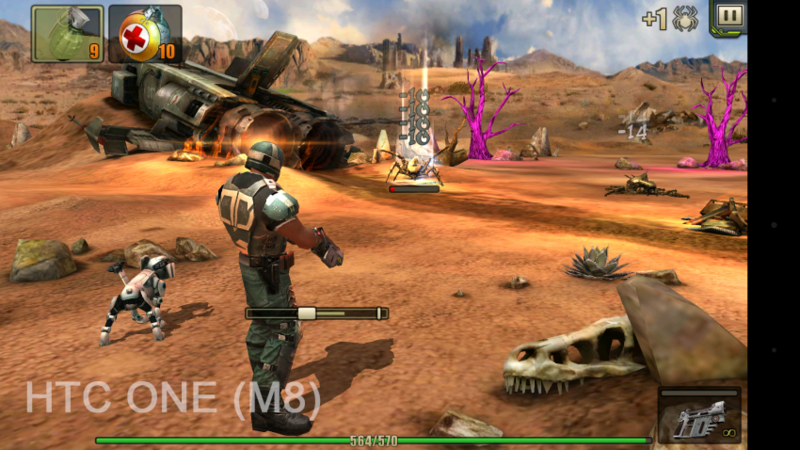 The game loaded as fast – in fact sometimes faster in areas – than the HTC One. Game performance was excellent. Likewise in basic apps like Gmail or Facebook – no noticeable issues in launching or use – the thing just chugged away nicely. Finally, the Camera – clearly at $219 this ain’t going to be great. But again, for the price – surprising. 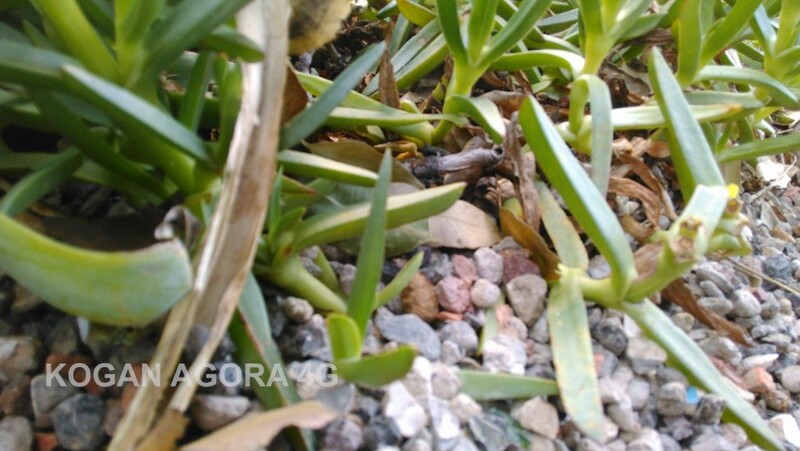 Close up in a quick “garden” shot the Kogan lacked clarity and colour. At a distance though the output was on par with what anyone would use regularly for sharing with friends, family or social networks. In no way is the camera as good as the flagship phones on the market – but it is most certainly more than acceptable for the vast majority. 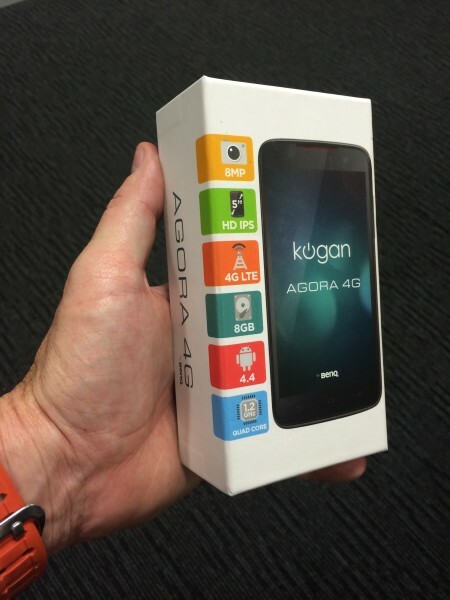 As a footnote : a strange observation – the packaging on the Kogan Agora 4G is strangely professional. I say that because normally Kogan doesn’t need for anything other than plain packaging because his products don’t have retail shelf exposure. This thing could easily sit on a retail shelf and get sales – anything you want to tell us Ruslan? Overall, it’s hard not to be impressed by this phone. Parents – if you’re looking for a phone for the kids – bingo. $219. They smash it and you don’ t feel as bad like it’s a $800 phone. 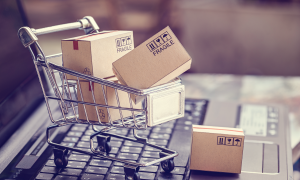 For any user who does the basics of smartphone operation – Email, Text, Phone, Internet, Facebook, Twitter, and a few apps – you’ll be pleased with your purchase. The reason I picked the HTC ONE for comparison was simply that it was charged in my office, I think any flagship phone would perform the same comparatively and that’s what I’m trying to demonstrate – if you want a flagship phone, you know your options. If you want a Smartphone and need to get bang for your buck – this fits that category. For performance benchmarked by value, it’s a top phone.